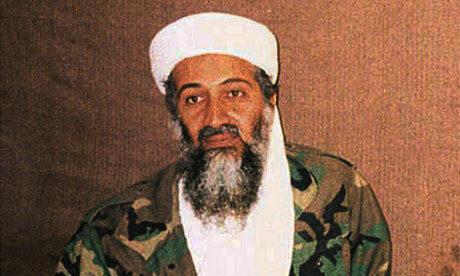 ← bin Laden’s Death – What next? Doubtless Bin Laden was a killer, a terrorist and a fundamentalist, and there are probably thousands more like him around the globe. But rightly or wrongly he was also a freedom fighter, a messiah figure, a revolutionary, and a political leader for thousands who were willing to die at his command. Ramayana is one of the great Indian epic which rotates around the conflict between Rama (Hindu god) and Ravana (a villain). Ravana posited a systematic challenge to the kingdom of Rama by abducting his wife, Sita. To reunite with his wife, Rama attacked Ravana with his newly mustered army. But the biggest challenge was really to kill Ravana. Each time Rama chopped his head off there came another one, finally after ten attempts he figured out the very source life in Ravana and was able to kill him. Similarly, killing Bin laden is like chopping one head off, another one will pop out soon i.e., killing Laden is like killing the symptom of the disease and not the disease itself. Matter of fact is that the disease is still there, and sooner or later it’ll produce another symptom, in a form of another charismatic fanatic. By killing a fundamentalist we can’t kill the fundamentalism. By killing a terrorist we can’t kill the terrorism itself. We cannot overcome or destroy ideological power by military power. But we can fuel military power by ideological means. It seems like we live in a terrorist-organic world which keep on producing terrorists and criminals, whether nationally or trans-nationally. Because, our answers will depend on the kind of questions we will ask, which could mean if we want wrong answers, we will ask wrong questions. Events such as this provoke us to ask deeper question – why fundamentalism? What is the cause behind Islamic fundamentalism? What generates this kind of fundamentalism? What is the source of fundamentalism? Only forty or fifty years back Afghanistan was probably the most secular country in The Middle East. What went wrong? Before we start condemning Islam as a violent and fundamentalist faith we must make distinction between Islam as religion and Islamism as a fundamentalist political ideology. I see fundamentalism is based primarily not on the religious conviction, rather on politicizing the religious conviction to meet ideological and political ends. At the forefront of our minds today are the obvious signals of violence – the terror and crime, civil unrest, and national and international conflict. Is there a need for us to look beyond visible and obvious violence? Can we possibly, for once move away from the violence performed by a visible and identifiable agents or people? There is another form of violence, a silent violence, a symbolic violence and a rhetorical violence, that embodies itself in language and various other forms. Violence, before it is physical, it is rhetorical. And it is that rhetorical violence which materializes itself in a physical violence. No one is a born terrorist or suicide bomber. No one is a born criminal or a murderer. How can we fight such kind of violence that is so embedded in our society that we don’t even notice it? And often people who fight terrorism, end adapting and operating from that same premise as their opposition, they end up sacrificing precisely what they want to defend. People who fight to establish democracy end up being anti-democratic and act as dictators. Both terrorist and anti-terrorist groups fight to establish freedom and it is precisely that freedom they both end up forsaking in the process. Religious Islam must not be equated with fundamentalist Islam, neither should we hold ourselves back from understanding the causes, that generates, both Islamic fundamentalist and Islamic fundamentalism. Remember anyone who pursue this task without making such distinction is “charged guilty of Oreintalism”, as suggested by Edward Said. Bin Laden will be remembered in somewhat opposing ways, both as a terrorist and as a freedom fighter, as a murderer and as martyr. This entry was posted in In the news, Moral Issues, Perspectives of God, Society and Religion and tagged bin Laden's death, fundamentalist Islam, murderer or martyr, Ramayana. Bookmark the permalink. I agree that we need to separate political Islam from religious Islam. In America we need to do what we did in Japan. We did not forbid the practice of Shintoism there after WWII, but we banned all political forms of it. In America we need to deport immediately any Imam or leader or follower who ever mentions Jihad in any way or pushes political Sharia Law. Where should you send those in the US who call for strong military action on Islamic states that dont favour the US? Some even want US military action taken against enemies of the US hiding in other countries where the US is not at war eg Pakistan. It is probably too subtle a distinction for you, but some Imams have said that to talk of Jihad in the sense of violence misrepresents what it is supposed to mean in Islam. The article above asks the question about Afghanistan: What went wrong? I feel the essay missed the answer. It is widely recognized (even on Wikipedia’s Al Qaeda page) that Al Qaeda was part of the US plan to burden Russia with a rebellion there, not unlike what the US fought to ultimate failure in Vietnam. This is never mentioned above. Without that context for ‘what went wrong’, the rest of the discussion about Islamic extremism is just totally missing the reasons behind its recent evolution, in the last 30 years. The post on Dave’s recommended site raises questions which are very worrying. I hope some of the assertions there are either based on misinformation or only partly true because if the detail can be verified it places the recent past US administrations in a very dubious light. That comment must convey something of the attitude present in the past administrations. Dave’s comment is in line with Robert Fisk’s assessment whereby he claims that bin Laden had explained to him that 9-11 was designed to pull the US into an area where they could be attacked eg Iraq However again from Fisk’s interviews, it seems that bin Laden had been under the impression that the fundamentalists would then get enough support to gain control through the Middle East. That does not appear to have happened in that the US is still in a position of influence and at least some of the more recent rebellions have gone in a different direction. Maybe as Fisk claims, this means al Qaeda has much less impact than they did a few years ago. Do you think that Osama was an Orthodox Moslem that followed the Koran, Sunnah and Hadith in following the life, teachings, and example of Mohammed and his 4 main disciples: Ali, Uthman, Umar, and Abu Bakr? If you say no, in what areas do you think that he was not consistent with the lives and teachings of these men? I gathered Osama’s main goals as a terrorist leader were political (to eject the American and Israeli militaries out of Arab lands) and not religious. To a certain extent, I feel it does not matter what Osama’s particular beliefs are. I suppose you did not read the linked article, or any similar articles about the evolution of Islamic extremism due to the USA’s intervention in Afghanistan. The USA created Al Qaeda. Osama was part of that effort to create a branch of Islamic extremists willing to fight the Russians. I wonder how Americans would react if the Russians found a group of Christian extremists willing to work a rebellion. What if the Russians gave this group substantial funding, even helping distribute their literature, training them on bombs and such, and even helping with their recruit efforts? For example, if this had happened here would we really care if David Koresh (or any other cult leader) was a follower of Baptists or Protestants? Extremists (especially ones that are artificially supported by an external political entity or due to his political impact, rather than one having a natural, popular backing due to his religious teachings) do not necessarily reflect anything important about their mainstream religion. There is substantial press given to Islamic extremism. In Iraq, the locals were so fed up with Al Qaeda they suppressed their efforts, without needing coaxing by the US military because Iraqis were being killed by Al Qaeda. By 2007 Al Qaeda was already recognized as nearly gone from Iraq. However, the press is reluctant to do the necessary research and parrots any claims there are still Al Qaeda fighters here or there in the Middle East, just as there are claims of foreign fighters against our troops – even though it is also common knowledge the locals themselves are fed up with the long occupations. From the vitriol I read about Islam, I doubt those appreciate the extremists seem much more dangerous because that is an important part of the justification for the war on terror – to dramatize the threat so our military can remain in the Middle East, with the apparent intent to threaten Syria and Iran, and perhaps even to destabilize Pakistan (as seen in the context provided by murders committed by Raymond Davis). The Islamic extremism so frequently mentioned by the ‘war on terror’ alarmists is not a ‘natural’ evolution to Islam but appears to be one that was either pushed by the meddling American foreign policy or has gained popularity due to our prolonged intervention there. With that observation in mind, the removal of our military from the Middle East would most likely diminish this Islamic extremism. Our military crusade there is meeting resistance that takes shape in different ways. Good points raised here Dave. Incidentally I have just been rereading the evidence for direct connection between bin Laden and 9-11 – and I had better whisper the next bit……there isnt any. According to my sources the guy who organised the Twin Towers outrage didnt have connection with bin Laden until well after. Perhaps celebrating gunning down Osama as revenge for 9-11 may even be a little misdirected. Perhaps someone has better information than me on this point. If so please share it. Do you feel that Osama’s religious beliefs were in line with that which was taught and practiced by Mohammed and his 4 main disciples: Uthman, Umar, Ali and Abu Bakr? If not, in what way did the beliefs of Osama differ from that practiced and taught by these men? A.H. 11 (622, 623) Abu Bakr makes war upon the people of Yamana who wish to leave Islam. Osama has always claimed to be Salafist (ie assciated with the Wahhabi orthodox movement). The Moslem brotherhood (a little less orthodox) disown him. In his interviews with Pilger and in his tapes he explains how he sees his faith related to his policies. It appears that Pilger was correct in seeing him largely as a spent force in that his policies of deliberately antagonising the US so that they would enter Iraq and Afghanistan where they would be vulnerable as a means of defeating their influence – coupled with his intention to inspire a widespread Salafist takeover of governments in the Middle East did not eventuate. At the same time there should be a note of caution here in that the Salafists’ power in Egypt appears on the rise again and it might even yet appear that they have been working quietly behind the scenes. As to whether Osama was a good Muslim in that he followed the teachings of Mohammed and his main disciples – quite apart from the fact that he made it clear that he dissociated himself from the Shia, (which cuts out the possibility he was trying to follow Ali) I am sure that he had the self belief that he was trying to be a good Muslim. That many Muslims did not agree is also clear. For example the Pew research figures showed his support in Pakistan had dropped from about 56% to 18%. Also a number of the other Muslim governments not only did not support the Taliban Government when it was in power in Afghanistan (only three did) – but many of their leaders have now expressed relief that he is dead. Something which is more worrying is that 18% of a population the size of Pakistan represents a lot of people – and if they are sufficiently outraged it will hardly be a good omen for peace in that part of the world. Thousands participated in a funeral ceremony for assassinated al-Qaeda leader Osama bin Laden in Istanbul on Friday, following Muslim burial rites but not including an actual burial…. The mourners, who gathered near Istanbul’s Fatih Mosque, which is located in the area that is considered Turkey’s epicenter of Islamic extremism, burned Israeli, American and British flags, and prayed facing a stone bench that traditionally holds the body of the deceased.